Offers quick and simple protection to all types of hydraulic and pneumatic hoses. A cost-effective solution to shocks, abrasion and deterioration, helping reduce equipment downtime and maintenance costs. Easily deployed to new or existing hydraulic and pneumatic assemblies, without the use of any tools. Simple to use with one or several hoses. 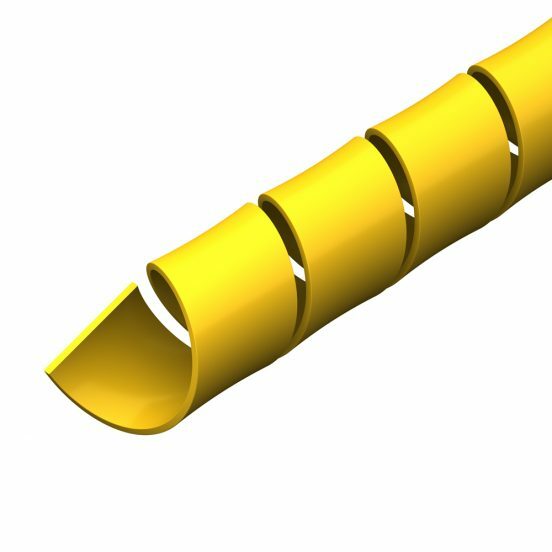 Smooth rounded edges prevent damage to hose assemblies or equipment during installation and use. Can withstand a temperature range -40ºC to +138ºC. Suitable for contact with hydraulic fluids including glycol and phosphate based products.